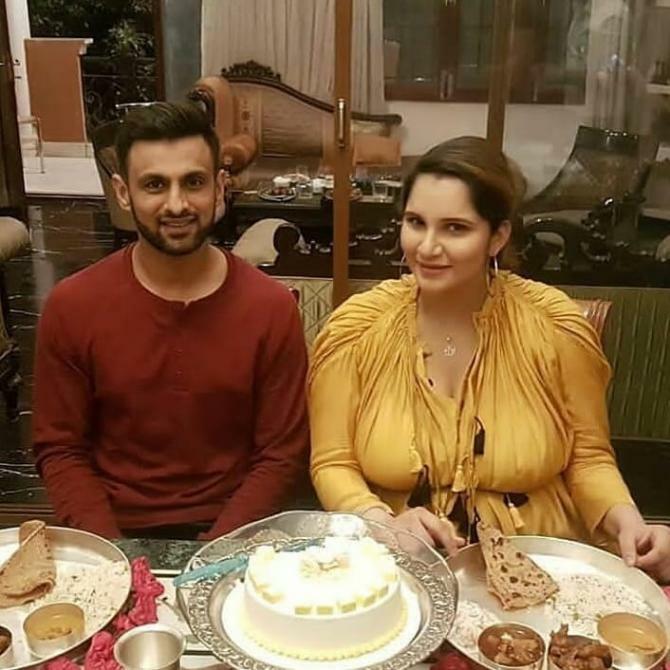 Web Desk: India’s ace tennis star, Sania Mirza and Pakistani cricketer Shoaib Malik are just few days away from holding their little baby in arms and are currently celebrating their pre-parenting phase. 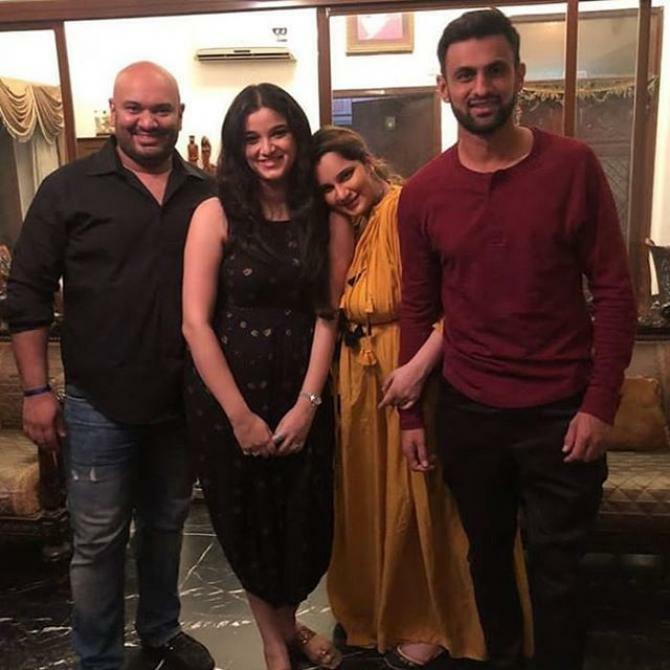 Sania was enjoying her last trimester with her parents and sister but now her husband, Shoaib Malik also joined his pregnant wife. The couple along with their close friends celebrated the soon-to-be mommy’s baby shower. Sania picked yellow dress for the event while Shoaib opted for a maroon colored t-shirt. 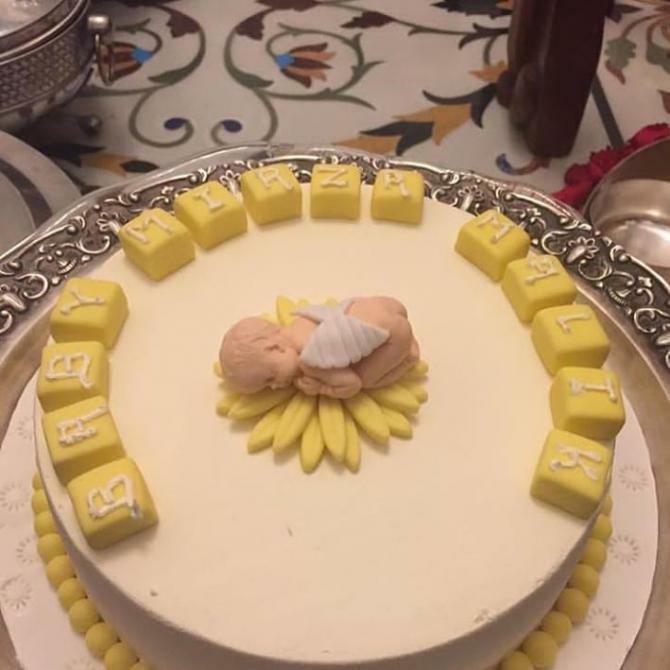 A special customized cake ordered in which ‘Baby Mirza Malik’ written on it and was decorated with a cuddled baby angel fondant. “And obviously if it is only my child, I would hope, pray and wish for it to be a healthy child. It doesn’t matter if it is a boy or a girl, which seems to be very important for a lot of people. Besides that, to believe in yourself and always know that you have the freedom to be whoever you are. At this point, with regard to my baby, all I truly hope, pray and wish is, for it to be healthy, regardless of the gender,” she added.